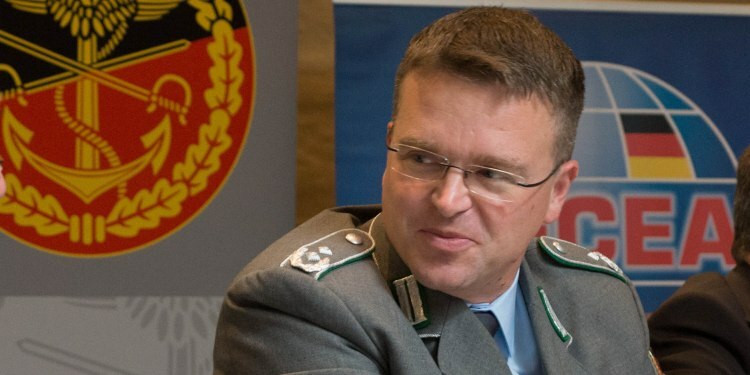 Abstract – Lieutenant Colonel André Wüstner, the chairman of the German Armed Forces Association, spoke on the reception, which is organised by the Parliamentary Commissioner for the Armed Forces in the German Bundestag every year. He talked about the way the Minister of Defence, Dr. Ursula von der Leyen, has managed some crises in the German Armed Forces in the past weeks; it has an effect on the relationship between the Ministry of Defence and the German Armed Forces Association. The original article can be found here, the speech of André Wüstner is available here. For more information, please contact the DBwV.